After a large group of parents refused to send their children to school in a small Greek village in protest against migrant pupils attending, a primary school on the Greek island of Samos has become the center of a controversy. On Monday, a group of 70 parents of Greek children who attend the school in the village of Vathy had announced they would not be sending their kids to school for the second week in a row. 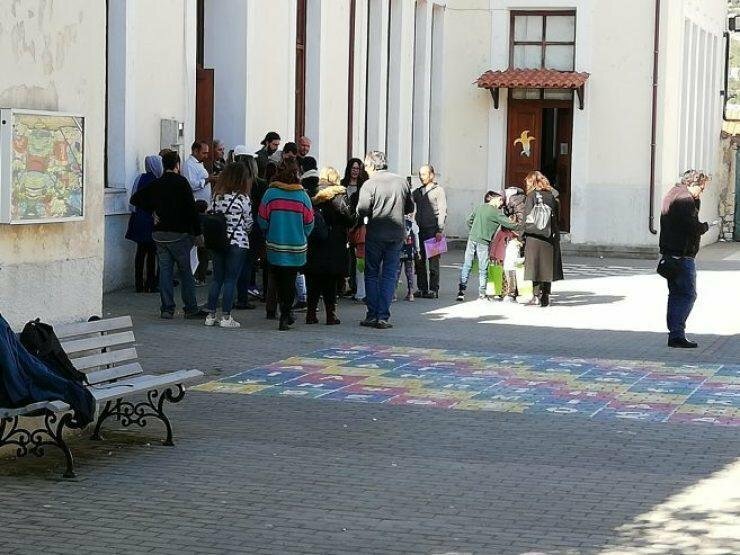 According to the Regional Directorate for Education of the North Aegean, only 106 out of the 150 registered pupils attended on Monday, with parents keeping their children at home on the grounds that students living at local migrant camps pose a "public health hazard." The protesting parents have called for a separate Compulsory Refugee Education Structure within the school. A reported 12 additional local primary and secondary schools have submitted a similar request. The education ministry's regional director has already tried to convince the parents to change their minds, seeking the support of influential clerics on the island." A small number of parents are trying to cultivate a climate of racism and xenophobia," Greece's education ministry said. "After poisoning their children with their abhorrent beliefs, they are now trying to influence other parents." Despite the government's efforts, the initiative is continuing and the group of parents have called for a general "stay away day" on Wednesday, March 20, urging all local parents to keep their children off school all over the island. Legal efforts are now underway to end the standoff. Aristides Kalaralis, Regional Director of Education of Northern Aegean, has invited the parents to the Prosecutor's Office of Samos to inform them of the legal implications of the ''non-observance of the compulsory education of children," or not sending their kids to school, his office said. In addition, organizations fighting racism have filed lawsuits against the Board of Parents' Associations taking part in the protest. This latest protest in Samos follows growing frustration among local communities on the North East Aegean islands over the refugee crisis, which has been ongoing since 2015. Just last week, UK-based humanitarian relief agency Oxfam, along with another 24 NGOs, sent an open letter to European leaders, saying the situation for thousands of refugees and migrants has become "unsustainable." The letter was sent ahead of the "anniversary" of the EU-Turkey migrant deal signed on March 20, 2016, which the NGOs say has led to "policies and practices in Greece that are short-sighted, unsustainable, ineffective and dangerous." Other agencies have described the situation as "'illegal containment." "The EU is allowing people to be trapped in appalling conditions while trying in vain to return them to Turkey," Oxfam's head of mission in Greece Renata Rendon said in the open letter. "European leaders are neglecting their responsibility to protect people fleeing war and persecution," she said further, adding that they instead "need to be supporting people at their most vulnerable." Earlier this month, Greece's Minister for Migration Policy Dimitris Vitsas said that the number of refugees and migrants on the Aegean islands has increased significantly. A total of 1,485 new arrivals were registered in February, compared to 1,139 during the same period last year. Vitsas said that Samos is "under particular pressure." At the current rate, Greece's population of asylum seekers is expected to surpass the 90,000 mark by the end of 2019, up from approximately 75,000 at present. With its current systems and infrastructure, Vitsas said Greece has the capacity to process only 20,000 asylum applications every year, but the number of applications received in 2018 were 67,000.